We have a much-ballyhooed helicopter, a cadet program and a fully-staffed Tac team. A new look and philosophy is coming, we’re told. But more importantly, why doesn’t the Winnipeg Police Service have one of these? I’m not trying to hijack Menno’s recent post. But after taking even a short glance through the VPD document — no doubt part plan, part PR move — you realize something. The Winnipeg public has no publicly-available yardstick of what they can expect from the WPS. On the most available communications forum, the winnipeg.ca/police website, I can find tons of useful and relevant information, like the code of ethics, descriptions of different facets of the force and most importantly, crime prevention and safety information. 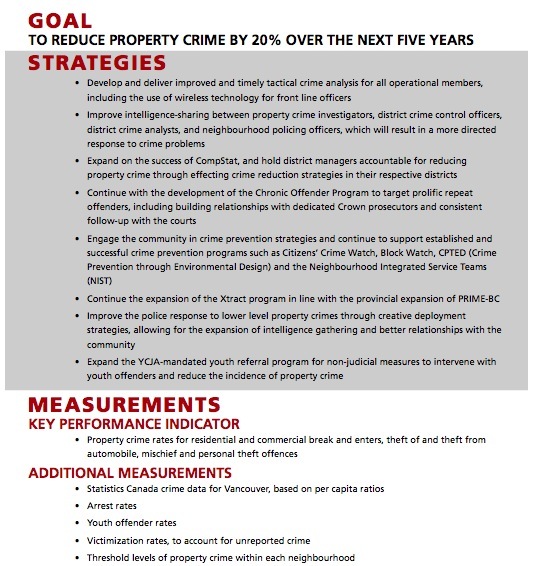 But nowhere that I see can I find a document that shows what the WPS has identified as a crime problem, what’s going to be done about it and how the efficiency in getting the job done will be measured. 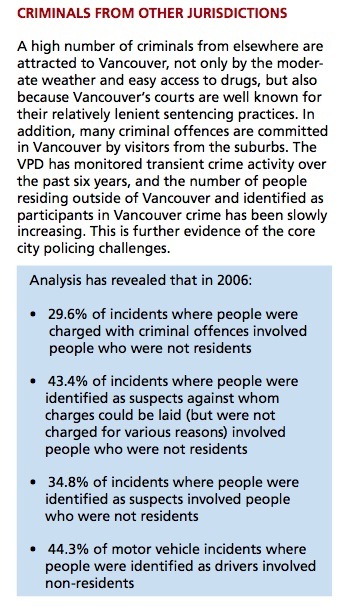 The VPD plan speaks plainly and openly about the problems the city has with non-resident fugitives, for example [that led to the Con-Air program in the mid 2000’s]. OK. that’s pretty nebulous and unwieldy. If I’m living in Vancouver, how is my police department going to get us there? 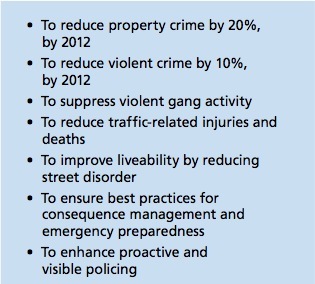 VPD says the road to getting there is by setting the following targets. OK. great. Sounds peachy. I’m still thinking it sounds a little wonky and fluffy. “The VPD has stated it will reduce property-related crime by 20 per cent by 2012 and said how it will do this. If by that time, they haven’t met their target, I’m going to do something about it — write letters, make phone calls, address the police board, vote differently etc). And, I’ll be justified in doing it because I was promised ‘X’ and it wasn’t delivered. In some sense, that’s accountability. Everyone who cares knows what’s going on, on a certain scale, I feel empowered as a citizen. While I have every confidence the WPS brass has identified Winnipeg crime trends and is doing something about it, that confidence is based largely on faith, and not on anything tangible that’s been put before the public. For example, Winnipeg’s particular problem of offenders thumbing their noses at court orders and breaching conditions makes me feel like I’m living under a persistent cloud of lawlessness. Behind virtually every major violent crime is a prior offender who’s out on bail, parole, probation, a recognizance etc. Police officers hate this as it demeans their position of authority. The public hates it because it makes the justice system look like a joke and feels like the criminal element is everywhere. And while we have faith that the police will do their best to continually clean up the mess, do we — do they, the officers and the victims of crime — have any assurances from the brass that cracking down on reoffenders is a priority at all? Other than comments made in the media should the issue come up, nope. There’s no paper – save for a tiny city council report here and there – that demonstrates this issue (one that’s an example of many other crime issues in the city) is even on the WPS’ radar. We got a helicopter that will cost millions to purchase, staff and operate with very little advance warning, public discussion or meaningful debate. It wasn’t even in the WPS business plan – something that no longer seems available to the public. Somehow, the whirlybird became a priority and was immediately acted on, despite there being no clear stated goal for what it is supposed to accomplish and measurable performance indicators for how well it’s achieving that goal. The WPS is a mega-million dollar business. But without a clear planning document and public disclosure of what its priorities are for the city, it fails to look like a well-managed one to the people of Winnipeg. Awesome post. Strategic plans in general seem to be something of an issue in Winnipeg, for reasons I can’t fully understand. During one of my nerdier moments I spent a whole day and night reading strategic plans for a number of departments of various cities across North America. Obviously, a plan is only as good as the will of people to implement it, the whole tone and momentum of the things is something sorely lacking in Winnipeg.